I’m a sucker for food with strong flavours, so if it’s a choice between ban mian or laksa, I would choose the latter. Naturally, I was overcome with excitement when I chanced upon IVINS Peranakan located just a little off King Albert Park MRT. 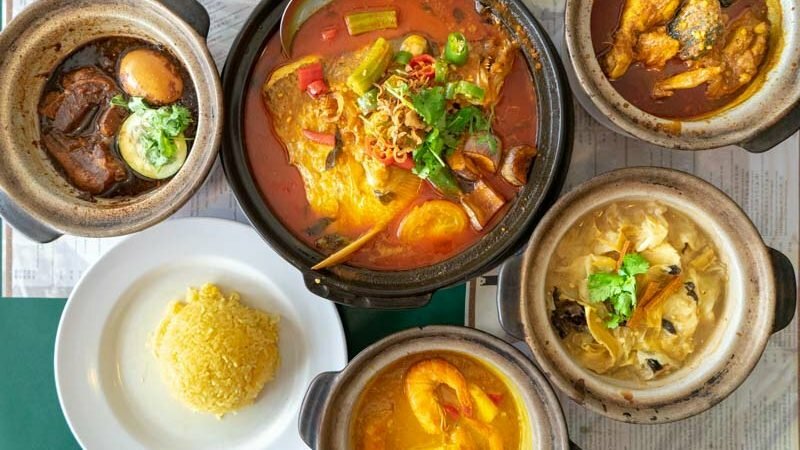 IVINS Peranakan serves up authentic Nyonya dishes that use spices to enhance their strong flavours. They deliver their food piping hot and straight off the stove, so you can get the best culinary experience. 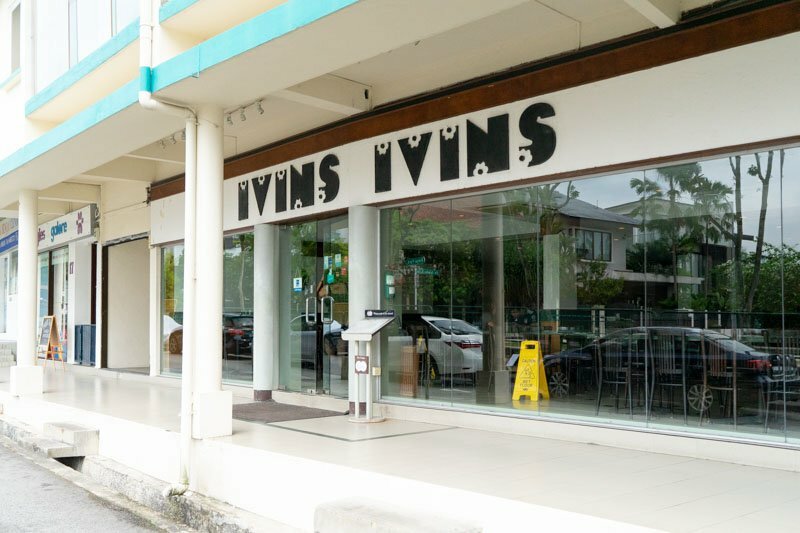 Located at Binjai Park, the residents around the area would be no stranger to IVINS Peranakan. It’s a little far off for those who don’t stay in the area, but the food is enough to get you on the Downtown line and straight to IVINS. 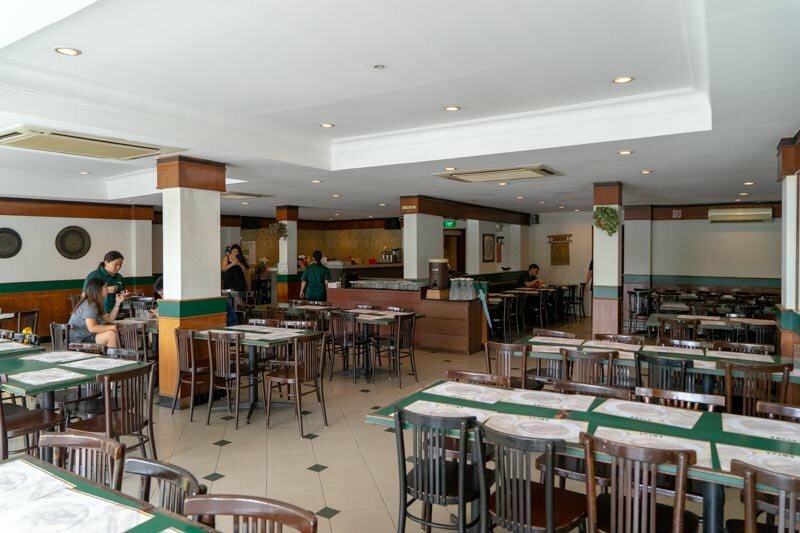 IVINS has a very spacious interior, decorated with green tables and wooden seats, which gives the place a homely atmosphere. It feels very much like having dinner back at Grandma’s! Speaking of strong flavours, we tried the Ayam Buah Keluak (S$7.20). It looked a little like curry chicken but it taste nothing like it! Drenched with tamarind gravy, the tangy flavour was prominent in the chicken itself. Though the chicken portions were slightly small, the meat was still soft enough that it fell off the bone easily. The Ayam Buah Keluak is achieved over hours of preparation and stew, and all that hard labour produces an authentic dish unlike any other. 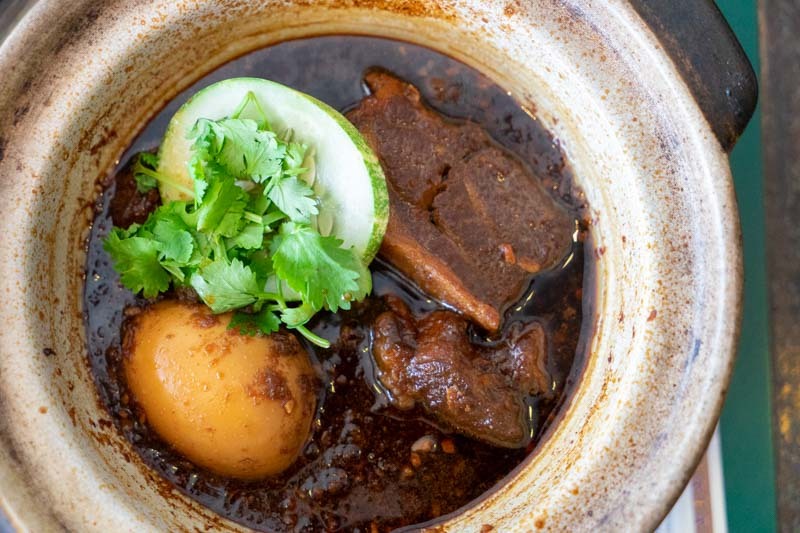 One of my favourite dish from IVINS Peranakan is the Babi Tauyu (S$6.50), which is pork belly braised in black sauce. A burst of savouriness filled my mouth as I tried a spoonful of the sauce. This would pair really well with a plate of Nasi Kuning (S$1), also known as coconut-flavoured rice. As if this wasn’t delicious enough, the pork belly was so tender, it broke apart in my attempt to pick it up. The flavours of the black sauce became more pronounced with each bite and lingered for a bit. 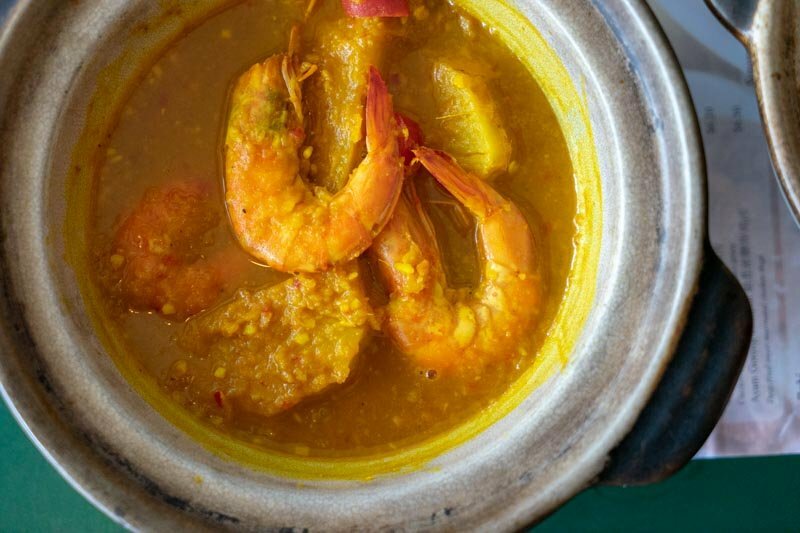 This dish can be a tad bit salty, so do pair it with a plate of warm rice for maximum enjoyment. IVINS also recommended us to try the Udang Masak Nanas (S$6.50), a dish of prawns and pineapples in tamarind gravy. This dish could be an acquired taste for some, because of the mix of sweet, tangy and spicy flavours. The gravy had a slight nuttiness, which made the stew slightly earthy. This dish personally isn’t for me, but if you enjoy the sweet and spicy combination, this would be right up your alley. 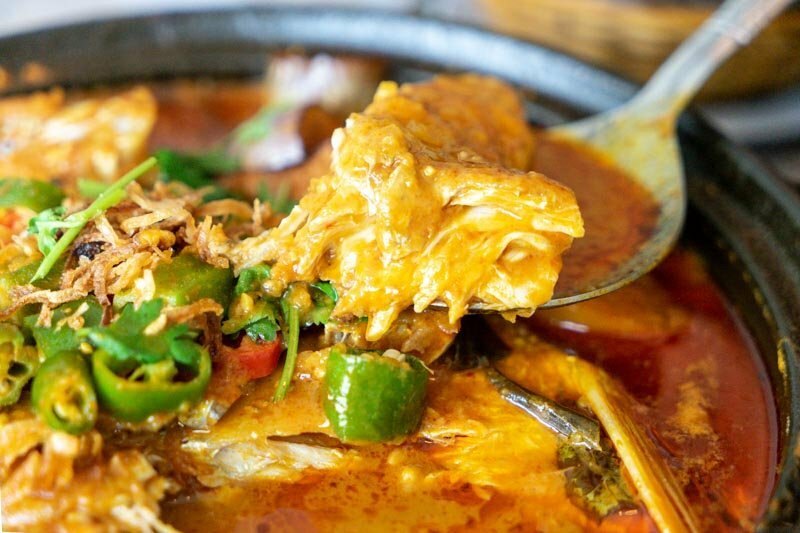 Amongst all the dishes, the Curry Nyonya Fishhead (S$23.50) comes a close second to the Babi Tauyu in terms of taste. The fish was huge, and the generous portion can probably feed a group of four people. IVINS did a really good job on this dish with its combination of ingredients and spices. 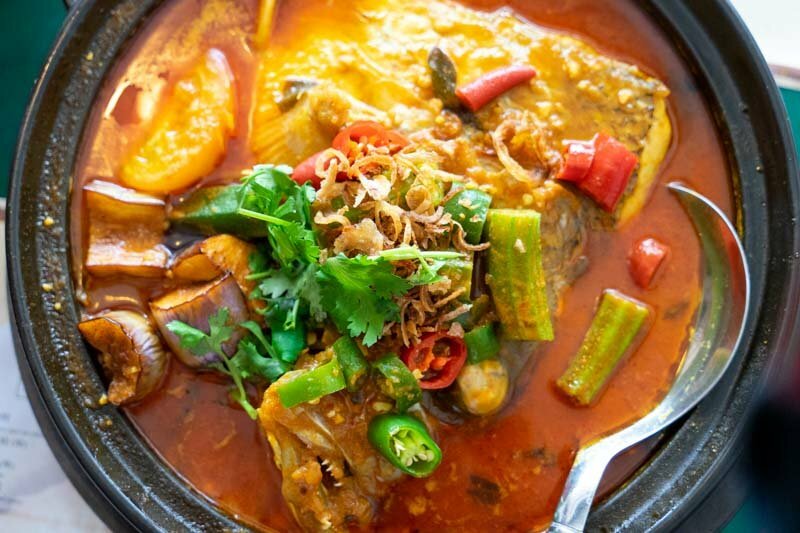 The fish broke apart easily, and the subtle sweetness of the fish contrasted with the tangy, spicy gravy. Although the fish was so fresh and succulent, the dish can be quite heavy on the palate, so share it among four t0 five people. 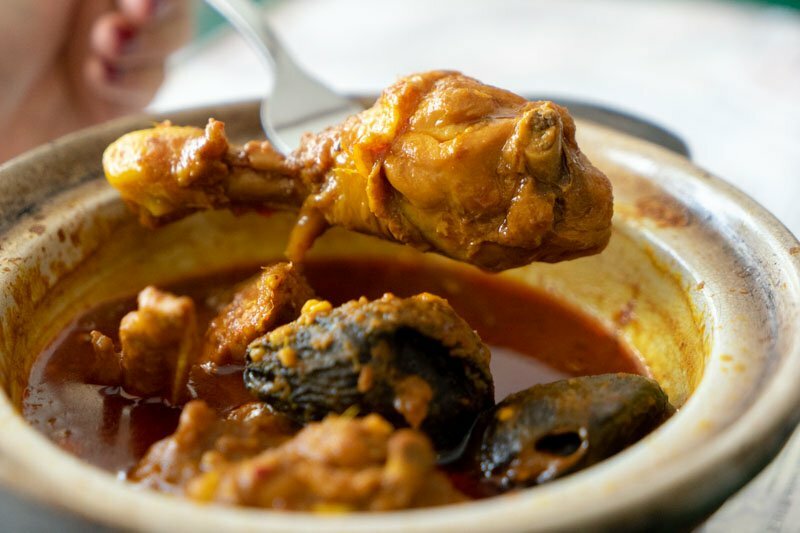 Apart from the fresh fish, the dish comes with an array of vegetables, including okra (lady’s finger) and eggplant, which fully absorbed the flavours of the gravy. No meal is complete without desserts! We tried two different desserts, one of which is the Durian Chendol (S$4). 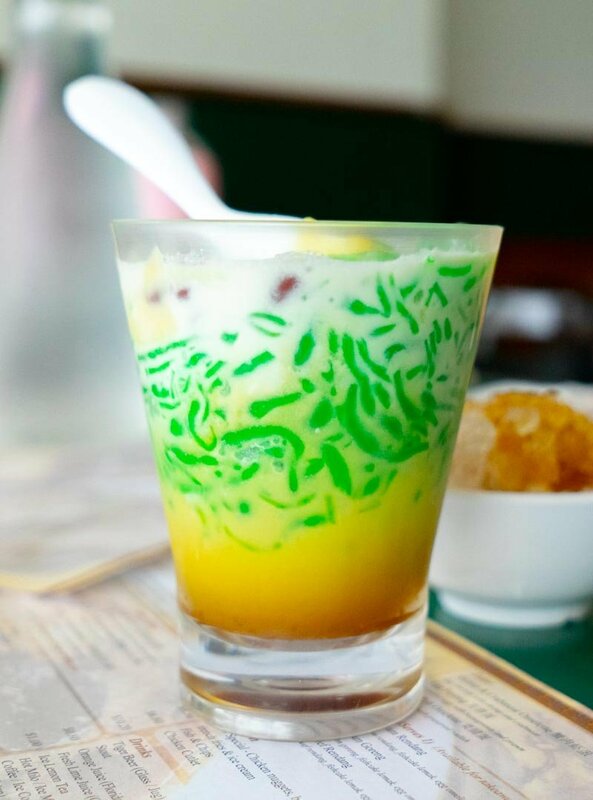 As someone who grew up eating homemade chendol, I had quite high expectations for this dessert. The first mouthful was a pleasant surprise, it wasn’t overwhelmingly sweet. Subsequently, the sweetness became a little more pronounced. The pandan jelly wasn’t sweet at all, so it balanced out the coconut milk, gula melaka and durian. The experience at IVINS is definitely an authentic and enjoyable one. They serve up their dishes pretty quickly, so there is usually minimum waiting time for your food. It is also an ideal spot for families to have meals, even with their children as well. After all, Peranakan food should always be shared! 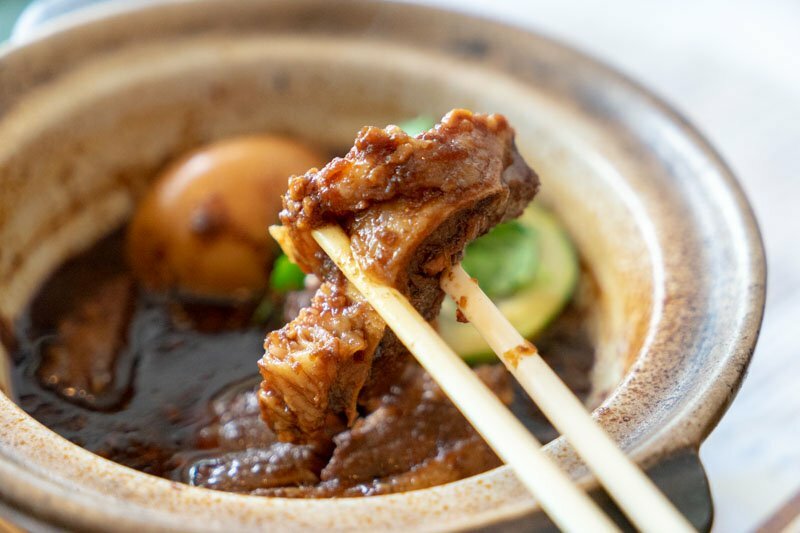 If you’re in need of a Peranakan food fix, head over to IVINS Peranakan. The food is pretty affordable and worth travelling for.